Are you ready to show your inner Canadian eh? 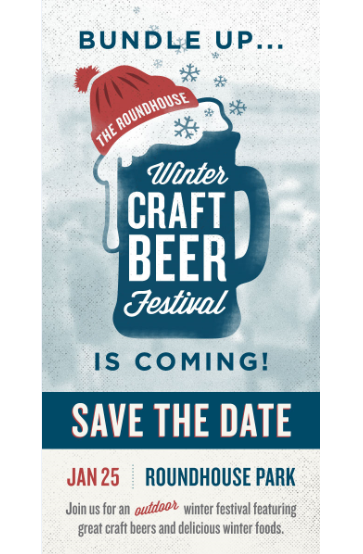 Don your stompin' boots, pull on a toque and wear your puffiest parka because it is time to hoist a pint or two with the Craft Brewers of Ontario while the snowflakes are flying. Dare to join in this crazy Canuck fun! Mark your calendars and come out to the Winter Craft Beer Festival outside Steam Whistle Brewing in Roundhouse Park. Beer. Food. Fun. Be there!